Tri Training Harder: Triathlon Coaching or Physical Training? Quite often I find it amusing when I meet people for the first time. After the initial question of "What is your name? ", the follow up is always the tricky one to explain. "What do you do?". When you say "coach", immediately, your new acquaintance says: "Oh, a PT!" proudly as if they know what you do. Though both a professional coach and a professional PT work with people in a sports and leisure environment, the reality is they don't have as much in common as it may first appear. You could compare it to when someone says they work as Civil Engineer. To say they shovel tarmac is their job...is indirectly what they do, but it is a completely different role. Clearly, the athletes we work with do physical activity but as a result of what we do not as our purpose. Coaches of all varieties work in the performance environment where there is winning or losing, ranks, positions, times and PB's. PT's generally work with the active population moving people from the sofa to a far healthier and more beneficial lifestyle. This in no way belittles or diminishes the importance of the work of either. Without one, the other would have a hard time existing – one feeds and the other fuels the sport and active lifestyles. There is the danger of suggesting that a Strength and Conditioning Coach is the same as a PT. However, the above point is also true. The "coach" element is very different to the "Trainer" element. An S&C coach supplements a Performance programme, a PT can set their own standalone programme of fitness. "A PT is someone you are motivated to be like, a Coach is someone who motivates you to go beyond yourself." A Personal Trainer can help massively with people achieving their impossible, losing 2 stone, being able to do a press up or completing their first x. However these goals are generally very personal to the individual. When you compare the goals to performance where you do end up being ranked in some way. Clearly, to state the obvious these goals or ambitions are in no way lesser or greater of importance. They are equally important to the person who is trying to achieve them. The only difference is who is there to help them achieve it! Clearly there has to be a spectrum of athlete who goes from the sofa to ending up doing triathlon. So how do these two seemingly different worlds interact. There are certainly elements of each in an athlete's journey. However it is about understanding the overlaps and the limitations of each of these areas. If you consider the journey shaped like a funnel, then there is clearly progression. The PT works with a huge range of people at the entrance to the funnel and does a fantastic job of hooking them into a more active and positive lifestyle. The S&C Coach takes over from the PT when an individual is training for a sport. 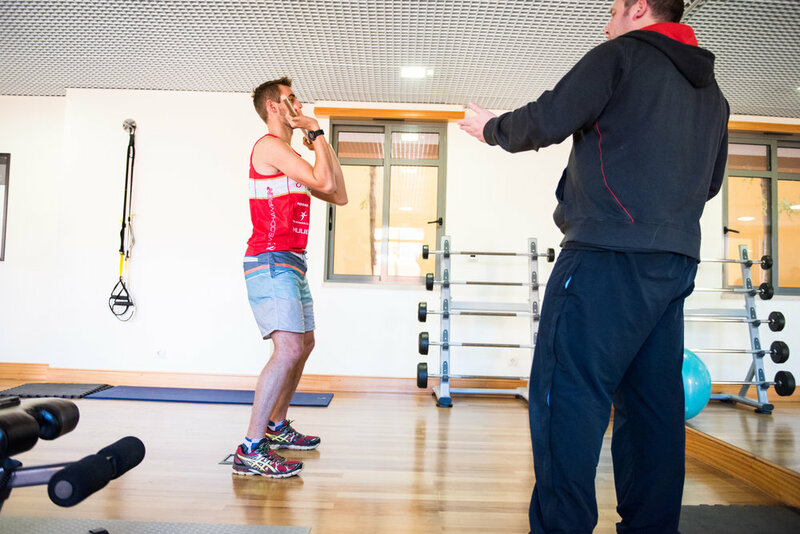 The S&C Coach trains the individual for the stresses and biomechanics of the sport to avoid injury and improve technique or force or power or efficiency. Alternatively, they would work very closely with an athlete taking them off the Physio's rehabilitation programme and moving them forwards to prepare them for the demands of the sport before they return and therefore avoid a relapse or a new, related injury. This multi discipline coordination is the most valuable and concurrent through all S&C coaching and underpins one of the key differences. They will liaise with the key components of the Athlete's team and specifically the coach to ensure that the training is coordinated, specific and aligned. Without that key element, then you have too many strings pulling in too many directions. This in turn funnels the athlete to the sport specific stresses...ie the sport itself. This is where the sport's coach takes over to improve the over all performance allowing for all areas: biomechanics, psychology, training stresses, race stress, physiotherapist input, personal life etc etc. [Read here about how a good S&C programme can be tailored to your training]. Frequently, it is the overlap between PT and S&C coach that gets dangerously blurred. Well Crossfit is it's own sport. It gets a lot of people into gyms and becoming accustomed to lifting weights all of which is helpful to many people and helps with many sports. However, it is important to remember it is it's own sport therefore, it is not S&C in the way we are looking at for sport specific performance (though there may be some overlap). S&C must be sport specific for the sport you are competing at and though Crossfit may look and sounds like S&C, it should be considered, for triathletes at least, as the first rung of a ladder. As a coach, I have had the joy of working with many different athletes. Invariably, they fit on the athletic spectrum as mentioned here. However, on reflection it is interesting that I have certainly found that some athletes joined up for coaching looking for a PT, as a coach it is about passing them back to a PT. Equally, there will be athletes working with a PT looking for a coach. It is easy for any one of these trainer or coaching outfits to look down upon or belittle the other. However, I believe it is critical to encourage and recognise each of these outfits for what they are and how they fit together as they do need each other. Nevertheless, it is also imperative to ensure we all know our boundaries and help with the flow of athletes or work together with the athlete for their benefit. Each has their own strength and opportunities, so let's all use them to everyone's gain. For me, I am still going back to question number two with: "I am a triathlon coach".